I am a California State Licensed General Building Contractor. I have been working with homeowners since I was a teenager. 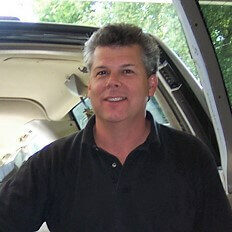 I spent many years remodeling bathrooms and kitchens and performing a wide range of home improvements. My focus now is strictly kitchen cabinet refacing. My versatility and experience in carpentry, painting, electrical, plumbing, and tile will make your project zip along to completion. I have always provided extensive information and references. My respect for a homeowners property started early in my career. I consider it a pretty big deal when you let someone into your home, allow them to tear it apart, hoping they know how to properly put it back together, as you pay them along the way. To me, That’s a Big Deal! We do kitchen makeovers and it starts by refacing all the cabinets. Then we offer all the options of a traditional tear out remodel. Why demolish perfectly good kitchen cabinetry when updating may be all you really need? If the cabinetry footprint is acceptable there is no need to tear everything out. By refacing you now have a current door style with concealed hinges. You then add a little accent with knobs or handles. You can install a new solid surface Quartz countertop with an under mount sink. And you can install full extension soft close drawers. Or you can add pullout drawers to lower cabinets for easier access. Even new custom cabinetry can be added. Under cabinet lights, glass display cabinets, and tile back splashes are also considerations. All these options are priced individually to fit your budget. A makeover by refacing is a smart cost effective alternative to achieve a brand new look. Completed with less mess, in days not months, and for thousands less than a total “tear everything out” remodel. My home and shop are in Petaluma, which makes East and West Petaluma my primary service area. From there I travel north to Cotati, Rohnert Part, Santa Rosa, Windsor and Healdsburg. Who doesn’t enjoy traveling north through Sonoma County with its beautiful countryside? North Sonoma County is a much easier commute than South Marin, but I have clients both places. I service Novato and usually don’t travel much further south than Terra Linda. I was born and raised in Terra Linda, so many homeowners still call on me from there. I like a small service area so I can address any needs that may arise after completion. I have many satisfied homeowners because I take one project at a time and personally work on it from estimate to completion. The secret to my success is pretty simple… I complete one project at a time, Yours! And I do it to your complete satisfaction before I move on to the next one. You will have my full attention until your project is complete. I want you to be so happy with your new home improvement that you pass my name on to your friends. …and then I’ll do it all over again. There’s a reason why I was *Diamond Certified in 2012. After calling 150 homeowners, my company rating of 99.81 out of 100 was one of the highest in the history of Diamond Certified. *Full Disclosure…I am no longer Diamond Certified. I joined to increase business by making my phone ring. It did nothing to increase business. At over $700 per month it was much too expensive for me to continue. If we’ve never worked together before, here is some information about myself to help you decide on choosing me as your contractor. This is excellent reading for those having trouble falling asleep. Not every project is a good fit for my services. I will speak up and refer you to the best company I know. Every project starts with a written detailed proposal. Because all my proposals are detailed and customized for your project, it usually takes me a couple days to get a proposal back to you. The proposed price is the final price. Once a project starts that quoted price is set in stone. Unforeseen conditions behind walls, like hidden water damage, will be quoted before corrective work is done. Unforeseen problems are rare with the proper preparation. Only additional work requested by you will change that. Additional work requested will be priced ahead of time and approved by you before started. Projects are accepted on a first come first serve basis. A simple phone call puts you on my calendar and locks you next in place. The proposal will be signed later. A standard time frame for a start date can be one month to three months out depending on my current projects. Upon acceptance of the proposal, we will go over all the details so the completed project is just what you want. Taking months or even a year to plan a project is not uncommon. More than once I have receive a call a year later. “Hi Ed, We’re ready to go. We have made most of our selections. When can you start?” Selecting flooring, cabinets, counter-tops, fixtures, flooring and all the appropriate items takes time. I will work with you during this preparation time. These days much of shopping and searching is done through the Internet. Questions by email or phone calls to me are readily accepted. We complete one project at a time. Your project will progress on consecutive days until completed. Together you and I will choose the appropriate morning start time. Usually start work at 8 or 8:30 am and depending on the day I work until 4 or 5 pm. I will communicate with you every step of the way. All areas of your home will be treated with respect while working. Your kitchen will be left in usable condition every evening. Cutting & sanding will be done outside when possible. All furniture and floors will be covered with clean plastic or drop clothes. All debris will be hauled away. Progress Payments are in proportion to labor performed and materials purchased. A project is completed when every spec of paint is touched up and the fixtures shine. Only then is the final payment due. Please make me aware of any special requirements or standards you have for your home! Check on their license with the state board. It is actually illegal to contract any project over $600 without a license. Check on liability insurance. Your personal homeowners insurance is not the contractor’s insurance. Check references. What’s their track record? Get the project in writing with all the details. AND THE MOST IMPORTANT OF ALL IF YOU SKIP THE REST. Never make the last payment until every last detail is completed to your satisfaction. Get everything completed before you give up that last check or you become powerless. Please note that Ed J. Roualdes contractor’s license number is #414807. 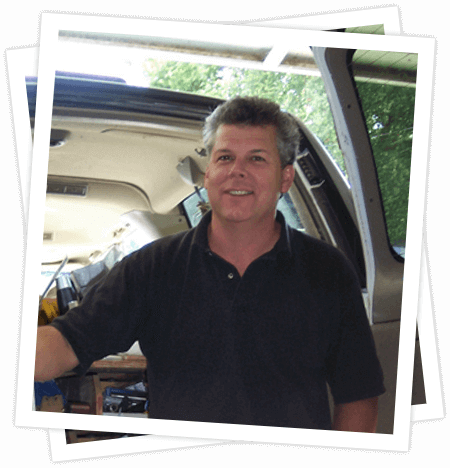 Ed J. Roualdes is licensed as a General Building Contractor and as a Painting Contractor. To check on any Contractors license with the State Contract or License Board call 1-800-321-2752. I do not carry workers compensation because I do not have or use employees. All work performed on your residence will be done by myself or by other licensed contractors with liability insurance.